Google canceled all the free enterprise mail from Jan 2013. I am the personal fans of Google, and I like free. Google enterprise mail is really amazing, and protect my business email from spam. Although Google never canceled the old users enterprise mail, I have to find new resource to register Free enterprise mail. Microsoft free enterprise mail is a great choice for webmaster want to change the old hosing email to enterprise mail. They are free and easy to setup. 1 Go the website http://domains.live.com/ by using your hotmail account. 2 Add your domain is the Management. Choose the first option” I will use outlook.com as mail service“. Do Not choose the second option. That will be no email service for choosing the second one. After that, you will get the MX (Mail Exchange) Records. The original MX entry using the old domain as priority 0 must be removed. The old setting will force to receive and send email by using the old hosting mail server. 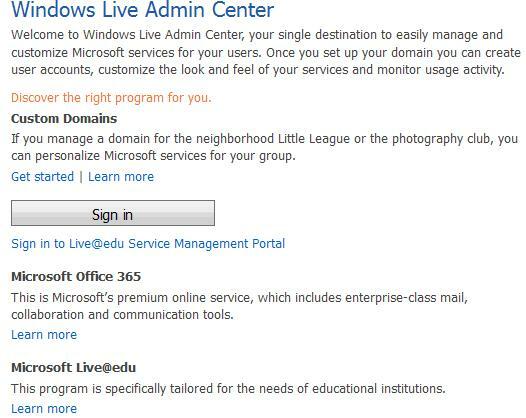 After enter the hotmail to the MX entry, refresh the management panel at live.com. You will see the status became to green. Some hosting need at least 24 hours to update the MX records.